Gameweek 22 saw some interesting and surprising results, with West Ham beating Arsenal 1-0 at home, Southampton coming away from the King Power with three points, and United coach Solskjaer taking the away match at Spurs as the perfect opportunity to add a first “top six scalp” to his impressive start at the United helm. Still, for many FPL managers the weekend was overshadowed by serious injuries to two popular FPL assets, namely Hary Kane and Trent Alexander-Arnold. While the Liverpool right-back is expected to be out for about four weeks, the Spurs striker is only expected back in March. Especially in the case of Kane, it’ll be interesting to see how Mauricio Pocchetino will cope. This weekend’s stand-out encounter is the one at the Emirates, where locals Arsenal host Chelsea. Besides that, there are plenty of interesting match-ups, as usual, including Bournemouth versus West Ham, Liverpool at home to Palace, and Fulham hosting a wounded Spurs side. We start off with news from the Premier League’s current bottom club, Huddersfield, where David Wagner resigned after the game against Cardiff (a 0-0 away draw). Under the German coach, who’d been managing the Terriers since 2015, the start of the 2018-19 campaign was far from satisfactory. Huddersfield are placed last, have scored fewer goals (13) than any other team in the league, and are out of all the cup tournaments already. Considering the current eight-point gap between the Terriers and the safe 17th spot, it’s going to be a mammoth task to keep Huddersfield among the English elite next season for any man coming after Wagner. Southampton, another team currently camping close to the bottom of the league, have played seven matches since Austrian manager Ralph Hasenhüttl took over from Mark Hughes. Of those seven games, the Saints won three, drew one, and lost three, a record that can be considered something of a resurgence for the previously battered-looking club. Away to Leicester last weekend, the Saints went into the break being up 0-2, but also with a man less (Yan Valery red card). Despite Leicester’s goal in the 58th minute, the Saints really didn’t look too worried or in too much trouble for the rest of the second half. Apart from the three points, their performance at the King Power will have given the club’s hopes of staying in the Premier League a considerable boost. Their loss on penalties last night to Derby may ultimately also help the Saints’ EPL campaign although the 2-2 draw after being 2-0 up may dent the confidence a little and the 120 minutes of action may tire them for this weekend. This season, Tottenham has had the best start to a Premier League season in their entire history and the club is working towards the official inauguration of its brand-new stadium, so the mood was generally positive by the end of 2018. Two weeks later, in-form man Heung-Min Son has departed for the Asian Games and star player Harry Kane is out with an injury until March, and suddenly the much-discussed lack of depth in their squad has flared up again. Spurs did not bring in any new players over the summer and some felt that their squad would be stretched thin as the season would advance, but Pocchetino proved the doubters largely wrong. Now though, with two absolute key performers (22 goals and 13 assists among them in the league so far) out for a considerable number of games and the Champions League knocking on our doors again in less than a month, it’ll be interesting to see how the Argentinian coach will react to his club’s sudden downturn of fortunes. At Man United, the light has returned with the replacement of José Mourinho by former-Mancunian Ole Gunnar Solskjaer, and one of the major beneficiaries of this change has been the talented Marcus Rashford. The young Englishman has scored 7 goals and provided 7 assists so far this season, of which 5 goals and 2 assists have come under Solskjaer since he took over five league games ago. What’s possibly even more impressive though, is that Rashford seems to have made the striker position his own, at the cost of €85 million man Romelu Lukaku. Rashford scored the only goal of the game at Wembley last weekend and we can’t see why, in his current form, he would be dropped from the starting eleven any time soon. Over the course of 2018-19 campaign, the role of Roberto Firmino (£9.3m) in Liverpool’s attack has changed. He’s gone from being the most forward player, though often roaming around, to fulfilling more of a number ten role as Mo Salah now spearheads the attack. The Brazilian’s start to the season was somewhat slow in terms of FPL points, with 7 assists and just 2 goals in his first ten games, but he’s been on fire recently. He’s scored 4 goals in his last three games, including a wonderful hat-trick at home to Arsenal, and he’s had 8 attempt on target over that period. Only Pogba and Rashford (10 each) top that. At a price of £9.3m in the official game and the injury of Kane a fact, Firmino could be an excellent replacement that will also allow you to free up some funds. Last weekend’s game against Spurs was possibly Paul Pogba‘s (£8.5m) best game under Ole Gunnar Solskjaer and that says a lot, considering the Frenchman had scored 4 goals and provided 4 assists in the five league games under him before that. Not only did Pogba provide a fantastic assist to Rashford, sending the young English striker on a lone run that ended in the match-winning goal, but he also took six shots, five of which were on target. Add to that the facts that out of those five shots on target, four came from inside the box, and that the midfield maestro provided another three key passes for his team mates on top of that, and it’s not hard to see that this man is in world-beating shape. He’s a steal at £8.5m and Brighton is up next, at Old Trafford. Our third premium pick of the week is a bit less in form at the moment, but nonetheless essential to is team’s attacking intentions. Felipe Anderson (£7.3m) hasn’t brought home an attacking return for the 18.1% of FPL managers that own him since his brace at Saint Mary’s in gameweek 19, a slump in form at the same time that West Ham was once again delivering proof of their unpredictable nature (a 2-0 loss to Burnley, a 2-2 draw at home with Brighton, and a 1-0 victory over Arsenal). In the four weeks before that run though, Anderson scored 3 goals and provided 2 assists, while his tallies for the season so far stand at 8 goals and 3 assists. A major reason for including him in this list, apart from the fact that he can be absolute quality at any given day, is Saturday’s opposition. Bournemouth have conceded an extremely worrying goals in the last six gameweeks and the Cherries have shipped a total of 17 goals in 11 home matches so far this season. Taking a punt on Felipe Anderson might very well pay off this weekend. 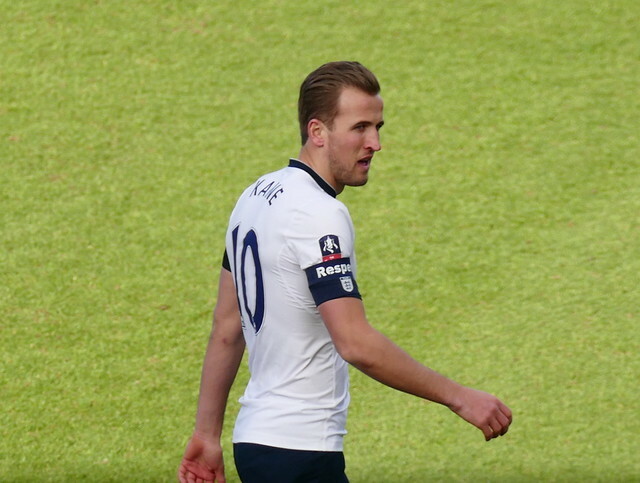 As mentioned earlier, Harry Kane’s injury will result in considerable movement on the FPL transfer market in the build-up to gameweek 23. One of the beneficiaries of Kane’s absence could be his team mate Dele Alli (£8.9m), at least in an FPL sense. With Kane and Son out for the near future, there’ll be more eyes on Alli, expecting him to deliver in their absence. The young attacking midfielder has had a relatively calm 2018-19 campaign up until now (4 goals, 2 assists, and 64 FPL points), but he’ll likely become a bigger focal point in the Spurs attack now. With games against Fulham (away), Watford, Newcastle, Leicester (all home), and Burnley (away) coming up, it could be the perfect time to bring in Alli. On top of that he’s a sure starter, he’s likely to be playing more of the field, and he’s currently £0.3m less than Eriksen, who’s likely to be dropping deeper as a result of Son and Kane missing. Our second differential pick of the week is Manchester United’s Luke Shaw (£5.0m). The first games under new manager Solskjaer were filled with goals and spectacle, but not so much with clean sheets. The Red Devils did shut out Newcastle and Spurs in the last two league games though, which might point to an improved defensive stability. Shaw is yet to NOT complete 90 minutes in a league game under Solskjaer and it doesn’t look like this will change in the foreseeable future. He has brought his owners 13 points over the past two gameweeks, and with Brighton and Burnley coming to Old Trafford in gameweeks 24 and 25, there could be more returns on the cards for Man United’s left-back. With a price tag of just £5.0, which is low for a starting United defender, Shaw could even be used to free up some funds or simply to replace the injured Trent Alexander-Arnold. For further ideas on who to transfer into your FPL team, have a look at FISO’s forum topic on GW23 Transfers. You might think that it’s kind of boring and repetitive to be recommending Mo Salah (£13.4m) as either a premium pick or a candidate for the captaincy (or both) practically every week, but it is what it is. It’s not like we have a real choice. The Egyptian forward is in top shape and matching his record-breaking 2017-18 campaign, so leaving him out is simply not an option. If you have Salah, captain him, it’s that simple. He brought home a fourth double-digit haul in his last five gameweeks last weekend, taking his total FPL points for that period to a dazzling 49 points. If we look back seven gameweeks, that total stands at 73… Salah has scored 7 goals and provided 4 assists in 10 home games, while his points average in home games against teams from outside the top six stands at 8.85. Up next are a stubborn and sometimes surprising Crystal Palace side, but we doubt they’ve got what it takes to keep Momo from appearing on the score sheet. Our other suggestion for the armband this weekend is Man City’s Leroy Sané (£9.6m). Since gameweek 13, the German dribbler has started in all games bar one, so as long as Mendy is out, Sané looks like a nailed-on starter. Quite a statement when talking about Pep’s Man City, we know. In that period, he got three double-digit hauls, while his total FPL points tally since gameweek 13 stands at 65, courtesy of 4 goals and 5 assists. His last assist came last Monday when he presented the opener on a gold platter for Gabriel Jesus. In that same game, Sané took four shots (that missed the target) and supplied two key passes, including the previously mentioned assist on Jesus. Coming up is a visit to a Premier League number 20 Huddersfield, who lost their manager at the beginning of this week and who have conceded 16 goals in 11 home games. City have scored 19 goals in 10 away games. Coming Sunday could well become a Sunday the Terriers will want to forget quickly. The FISO Forum members Poll on the GW23 Captain currently has Salah with about 80% of the votes. Previous PostFPL Season 2018/19 – Gameweek 22 PreviewNext PostShould Gambling With Credit Cards Be Banned In The UK?